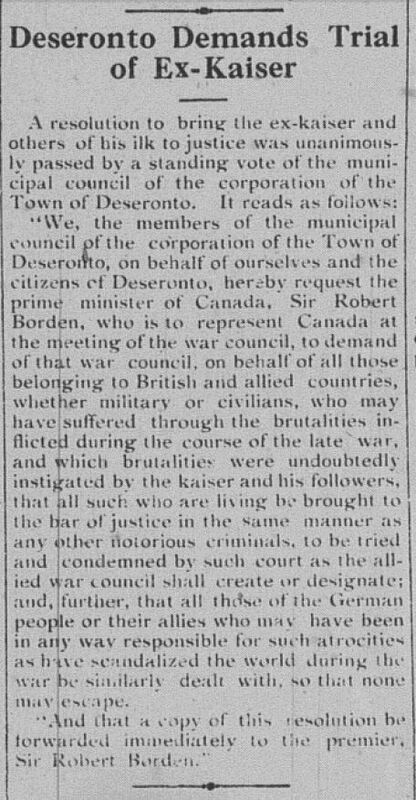 “We, the members of the municipal council of the corporation of the Town of Deseronto, on behalf of ourselves and the citizens of Deseronto, hereby request the prime minister of Canada, Sir Robert Borden, who is to represent Canada at the meeting of the war council, to demand of that war council, on behalf of all those belonging to British and allied countries, whether military or civilians, who may have suffered through the brutalities inflicted during the course of the late war, and which brutalities were undoubtedly instigated by the kaiser and his followers, that all such who are living be brought to the bar of justice in the same manner as any other notorious criminals, to be tried and condemned by such court as the allied war council shall create or designate; and, further, that all those of the German people or their allies who may have been in any way responsible for such atrocities as have scandalized the world during the war be similarly dealt with, so that none may escape. Moved by Coun. Hunt, seconded by Coun. Fox, that the clerk be instructed to have 1000 copies of the above resolution printed for distribution. Carried. The council members present at this meeting were the Mayor, Ebenezer Arthur Rixen; the Reeve, Thomas J. Naylor; and Councillors Thomas Fox, Milton Hunt, and William H. Richardson. The last death associated with an aircraft at the Deseronto pilot training camps took place on the last day of the First World War. The victim was Joseph McDermid, described on the death registration as a worker for the Imperial Munitions Board. It is not clear whether he was “killed by aeroplane” on the ground or whether he was in the air at the time of the accident. The registration does not give an age for McDermid, or a place of birth, so it is difficult to find out more about this man, especially as he was not employed by the Royal Air Force. It is even hard to know exactly where he died, as the registration states ‘Camp Rathbun’, but the death was registered in the ‘Mohawk Reserve Tyendinaga’ district of Hastings, which would normally suggest that the death took place at Camp Mohawk. Please comment if you have more information about Joseph or his family, or where he was buried. Stephen Kennedy Burgess died of pneumonia, caused by Spanish flu, on this day in 1918. He was a fireman who had joined the Royal Air Force in Toronto on July 24th, 1918 as a labourer. He was five feet six and three quarter inches tall and his regimental number was 270201. Burgess was born in Owen Sound on September 7th, 1896, the son of Stephen Burgess and Margaret Jane (née Whiteside). He was living in Collingwood when he enlisted. He died at the hospital at Camp Rathbun in Deseronto after 96 days of service. Stephen was buried in the Collingwood Presbyterian Cemetery. David James Kerr died of pneumonia caused by Spanish flu on this day in 1918 at Camp Mohawk near Deseronto. In civilian life he had been a teamster and he enlisted with the Royal Flying Corps on June 4th, 1917 to serve as a batman (an officer’s servant). He was given the regimental number 72258 and was described as five feet seven inches tall when he enlisted. He was promoted to 2nd Air Mechanic on August 8th, 1917. Kerr’s death certificate states that he was born in Michigan. His date of birth is given as July 16th, 1888 on his gravestone. 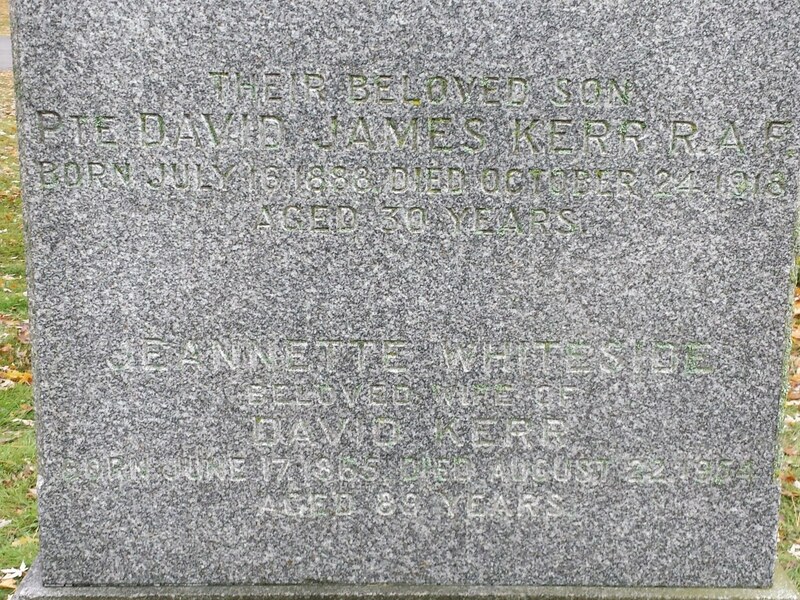 His parents were David Kerr and Jeanette (née Whiteside). They buried him in Prospect Cemetery, Toronto. On this day in 1918 John Richard Speer was killed in an air accident at Camp Mohawk near Deseronto. Speer was a schoolteacher from Springfield, Manitoba, who had joined the Royal Flying Corps in Winnipeg on November 2nd, 1917. He was officially appointed to the Corps in Toronto on January 7th, 1918 as a cadet. He was five feet six inches tall, with a medium complexion, dark brown hair and hazel eyes. His regimental number was 153957. Speer was born in Springfield, Manitoba on March 23rd, 1897, the son of James Speer and Elvira (née Beattie). They buried him in the Moose Nose/Sunnyside Cemetery in Springfield and he is also remembered on the war memorial there. 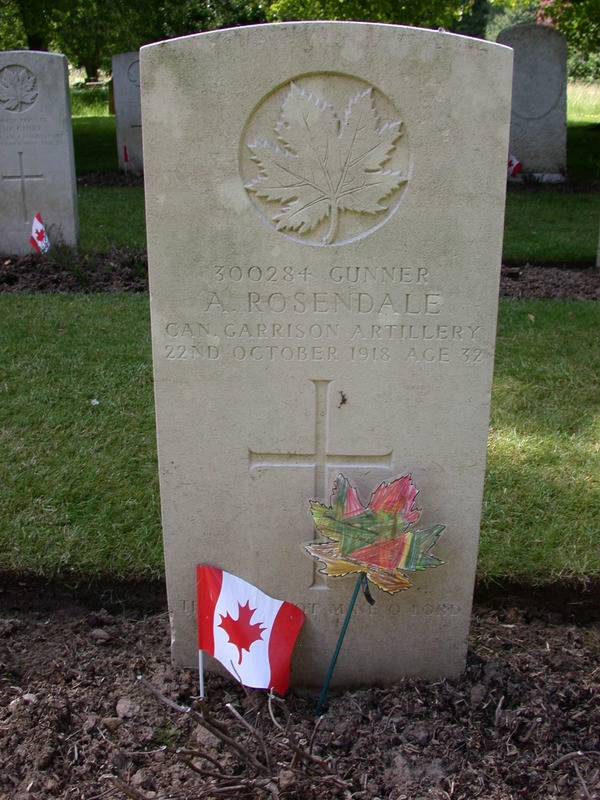 On this day in 1918, Arthur Rosendale died in the Number 12 Canadian General Hospital, Bramshott, Hampshire, England, of influenza. 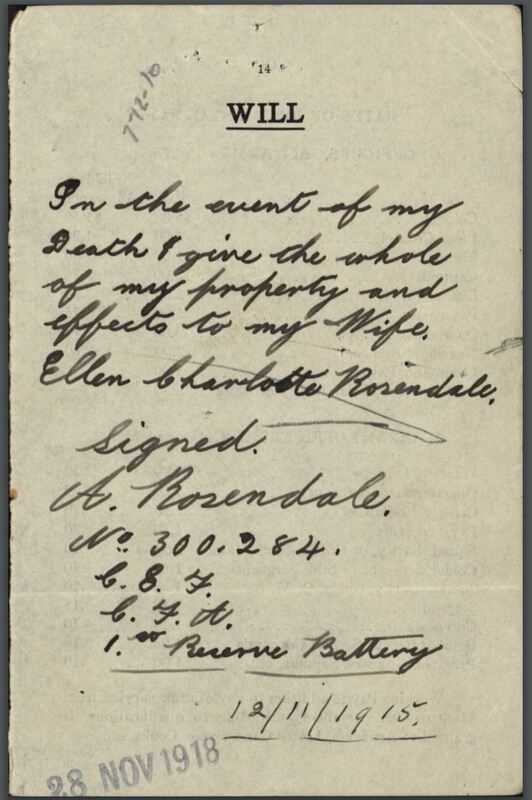 His service record contains his will, which left all his possessions to his wife, Ellen. He was buried in the churchyard of St. Mary the Virgin in Bramshott. Every Canada Day, children from Liphook School in Hampshire commemorate the Canadians who are buried here. 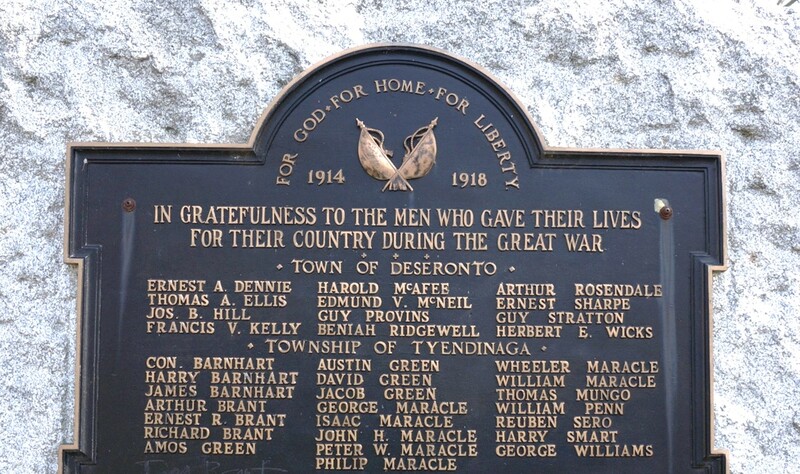 Arthur is also remembered on the war memorial in Deseronto. His widow, Ellen, remained in Deseronto and died in the town in 1943. She is buried in the Deseronto Cemetery. On this day in 1918 2nd Lieutenant James Davidson Stephen was killed in a air crash at Camp Rathbun. Stephen had joined the Royal Flying Corps on October 21st, 1917 in Toronto with the regimental number 153410 and was officially appointed on December 10th, 17 days before his eighteenth birthday. He was five feet seven and a half inches tall. Stephen trained as a pilot and in June 1918 he was appointed as a flying instructor with the Deseronto Wing of what was by then the Royal Air Force. Deseronto, Oct. 21. – Lieut.. J. D. Stephen, 636 Euclid avenue, Toronto, was killed and Cadet W. L. Somerville, of Burritt’s Springs, Ont., seriously injured, when their airplane crashed to the ground about a mile from Rathbun airdrome, at 11.30 a.m. today. The cause of the accident is being investigated. Second Flight-Lieut. James Davidson Stephen was the son of ex-Staff Inspector James M. Stephen, 636 Euclid avenue, who retired from the Toronto police force about nine years ago. No particulars in regard to the accident have been received except that Cadet W. L. Somerville of Burritt’s Springs, Ont., was in the airplane at the time and sustained serious injuries. Lieut. Stephen was born in Toronto 18 years ago and would have been 19 years of age on Dec. 27. He attended the Toronto public schools and Harbord Collegiate. His enlistment in the Royal Air Force took place in Dec., 1917. 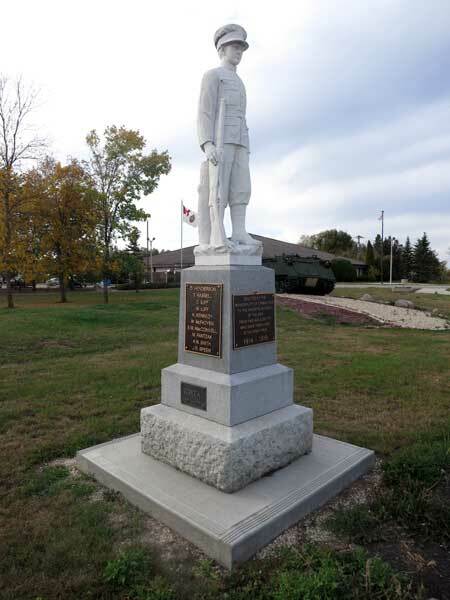 He trained at Burwash, Camp Borden, Leaside, Texas, Camp Mohawk, and Beamsville, where he received his commission. He wanted then to go on overseas duty but the air force authorities encouraged him to become an instructor and out of regard for his mother he decided to do instructor’s work temporarily. He was assigned to a special course at Armour Heights and put on duty at Camp Rathbun training cadets. He was attached to the 90th Squadron. He had recently applied to his commanding officer for permission to proceed overseas and was promised that his wish would soon be granted. The image below shows the aircraft after the crash. The cadet involved, William Lawrence Somerville recovered from his injuries (broken bones in his left leg) and was discharged from the RAF in February 1920. On the 21st day of October, 1918, at about 11.30 I went up with 2/Lt. Stephen to practise Camera Gun and Higher Manoeuvres. We were at 3000 feet, and Lt. Stephen put the machine into a right hand spin and we spun 1000 feet. I then did 2 left hand spins, which brought us down to 1000 feet. The machine came out of those spins quite easily. Lt. Stephen then made 2 left hand rolls, and in the second roll he seemed to have slight difficulty in getting it out. On the third roll I could feel him kicking on the rudder-bar, a thing he never did with me before. The machine went into a fast spin and continued so into the ground, I could feel Lt. Stephen working on the controls trying to get the machine out of spin, but I left controls absolutely alone. To the best of my knowledge the engine was full on all the time until we crashed. Certified true statement. Cadet sent to Kingston Hospital. [signed] W.S. Anderson Capt. R.A.F. 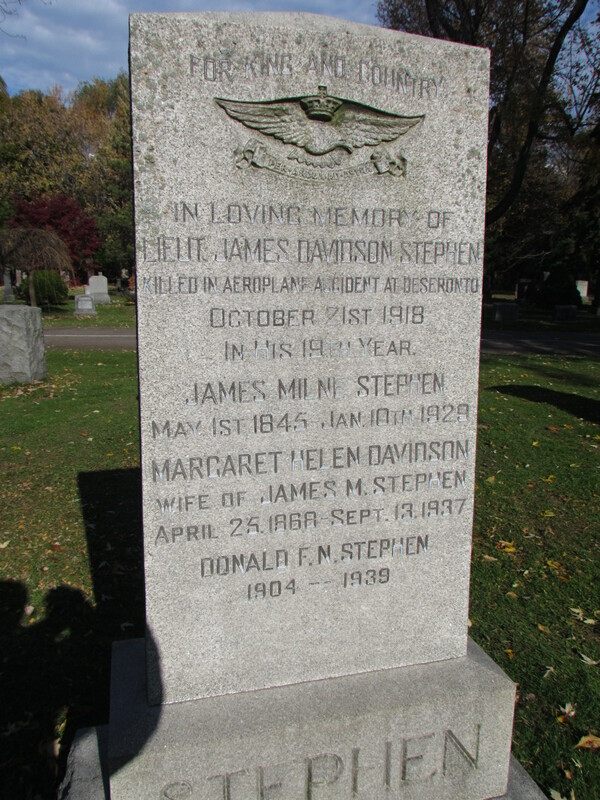 Stephen was the son of James Milne Stephen and Margaret Helen (née Davidson). They buried their son in Mount Pleasant Cemetery, Toronto and put up a private memorial to him.